Through today’s lesson, we hope you will want to continue the quality contributions of Christians to art, music, and science. Music. Western music developed in the churches of Europe, continuing ideas already known to the Greeks and Romans. Around 600 Pope Gregory I collected and authorized certain melodies to be used in churches and monasteries. These melodies did not use a beat. They flowed at the same speed as speaking. This kind of music is called chanting. The melodies used the same kind of whole steps and half steps as is used in Chinese and western music today. The melodies collected by Gregory are still called “Gregorian chant.” Listen to chanting. He also promoted training of singers and use of the word “alleluia” in the Sunday service, for it had been used by believers in the Old Testament times and is still used in Jewish worship up to today. In fact, the format of the order of worship shaped under his administration, using many of the ideas already used in the Jewish service, is still the basis for the Sunday service used today in Catholic, Anglican, and some Lutheran churches. For Backgrounds and music of the Sunday morning church service, see chapter 30. For music in the monastery, see Chapter 28, paragraph 4. Chords. The idea that many different melodies could be used at the same time also is a special contribution of Christian music to the world. Beginning around 850, the idea of singing two melodies at the same time¹¹ developed in the church. Listen to this type of music. Around 1190, 3-part music was developed, and soon after, the 4-part music that has remained standard in western music up to today. Listen to 3-part music from the 1500’s.¹² When many different notes were sung at the same time, some combinations were especially harmonious. These were finally called “chords.” Church music in the Eastern Orthodox church is often in 4-part harmony. Listen to example. Writing music. Around 1025, a monk in Italy¹ developed a 4-line staff for writing notes; the 5-line staff was common by the 14th century. That same monk is the one who developed the idea of using do-re-mi to give a name to each note. This is the system used in China today, except that it is common to write numbers instead of syllables. As the music became more complicated, it was necessary to have a distinct beat in order to keep the singers together. The various ways of counting time in western music were invented in the church. Around 1260 a church musician in France² devised the idea of writing notes differently to show whether they are long or short. Notes that were hollow lasted longer than notes that were filled in. All during this time, composers wrote music for the Sunday worship service. Therefore the music used in church was always the most up to date. On the other hand, the use of chanting continued because it is the most convenient way to sing the Psalms, since each line of a Psalm is a different length. Over the years, many people have been drawn to Christianity because of the beautiful music. See more music links at footnote 21 below. Drama. The ancient Greeks were famous for writing dramas, and the Romans then continued that tradition. It was in the church that drama in Europe was reborn, starting in the 900’s with brief plays as part of the worship service. Beginning in the 1200’s , plays were acted outdoors in front of the church. Some of these are called “mystery plays,” and sometimes were presented as a series of plays that told the entire Bible story from creation to the end of the world. In the 1300’s the props would be put on wagons and the plays would be given in the villages. There were also plays about miracles, and others about morality. During this period plays based on folk tales also appeared, and from this came the secular plays of today. Icons. Another Eastern Orthodox custom was to paint pictures of Jesus and Mary on wooden boards. People would look at these boards while they prayed. These pictures are called “icons.” See icon of Jesus. A great controversy developed in when some warned that the people were using the boards as though they were idols. In 787, the seventh ecumenical council ruled that devotional use of icons was not idolatry and could be permitted. Through the centuries, each story of the Bible has been portrayed in paintings by artists in a variety of styles. It was the church that paid the great artists to fill the churches with pictures of Bible people. (In contrast, Islam strongly prohibits painting pictures of religious people, though their art work is notable for its intricate designs.) It was the secretary to a pope who wrote the major book on how to achieve perspective in painting (that is, the rate at which objects should be painted smaller to show they are farther away). See footnote 13 for Christian paintings from many centuries. Churches. Large, beautiful church buildings were built to give honor to God. The first ones were built soon after Christianity became legal in 313. The largest were built during the 1200’s in Europe. 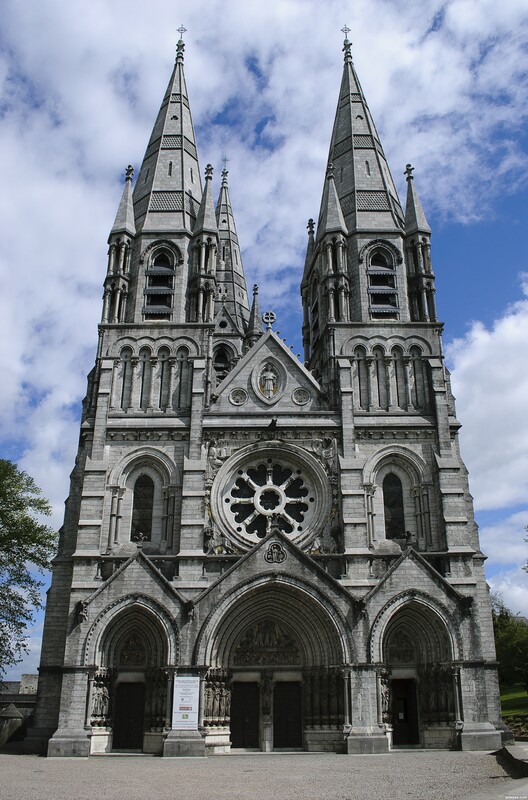 The shape and style³ of these churches is used as a reference as churches are built throughout the world. They had many statues of Bible characters. The walls were made of stone, but as skills developed, more and more space was provided for windows. These stained glass windows remain a high point of European art. They told Bible stories in pictures. This was a great aid, at a time when most people could not read, and very few Bibles were available. As styles of building changed, new churches used the style of the day. For a list of church-building styles with links, see footnote 31. Inventions. The Chinese people have given many great inventions to the world, such as paper, printing, and the compass. India has made great contributions to mathematics. Early Egyptian, Greek and Roman inventors developed geometry and architecture. The Arabs and Persians, under the unifying influence of Islam after the 7th century, built on the work of the people of India, Egypt, Greece, and Rome. But starting in the 16th century, a new approach developed. We now call this “modern science.” This approach is characterized by careful measurement, by creating hypotheses and testing them through experiments. Historians wonder why, even though all the great civilizations of history have had great inventors, yet “modern science” appeared in Europe. Most agree that this was because of the influence of Christianity. Now that modern science has become a feature of our modern world, all countries have benefited from it. Many of the great scientists of the world today are Chinese. But historians have tried to find out why Europe was the place that modern science developed. The next section tells one reason. Modern Science. The early European scientists in the 16th century believed in God. They believed that God created the world. Therefore, the world must be orderly, because God himself is orderly and dependable. Since they believed that the world must be orderly, therefore they believed that their efforts to understand the world would have results. Investigating the world would not be a waste of time. They had faith that God had put laws in nature, and that it was possible to find these laws. In addition, these early scientists explored the world because it gave them greater insights into how wonderful God is. Their discoveries in science led them to give praise and thanks to God. Materialism. In the 18th century, however, a new idea arose in Europe. This idea placed great faith in reason. As time went by, some philosophers stopped believing in God, and put their faith in human reason instead. Eventually, some scientists adopted this view. The outlook of these scientists is different from the first scientists. The early view was “we will explore the things that are visible, but the things that are invisible, we will learn from the Bible.” These invisible things include God, spirits, hope, faith, and love. The new view changed that outlook. The new view was “We will explore the things that are visible. The things that are not visible, and that we cannot explore, do not exist.” This view is called “naturalism” or “materialism.” Today, some scientists accept materialism, and some do not. Church and science. Some people mistakenly criticize religion because of the time when the church oppressed one of the famous early scientists. 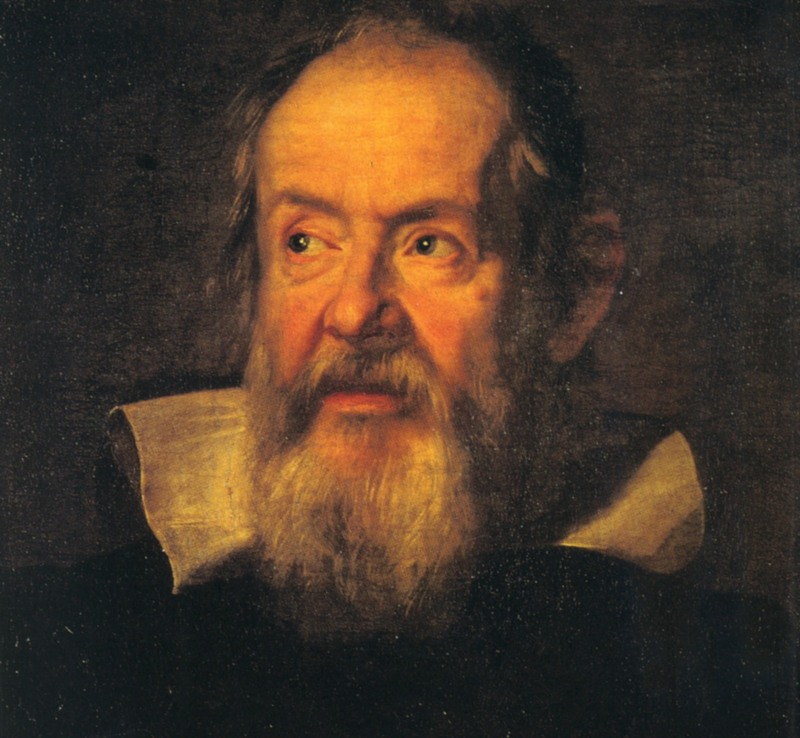 Around 1611 people realized that Galileo supported the idea that that the earth revolved around the sun, and it is true that 3 years later a church official forbade him to promote this view. The reason for this however had nothing to do with religion. Here are the reasons: At that time, most of the educated people had positions in the church, for the church had been the main supporter of education in Europe. By 1231 scholars in the monasteries and universities were studying the Greek philosopher Aristotle, and Aristotle’s view that the sun revolved around the earth became widely accepted. It was based on Aristotle: it had nothing to do with the Bible. But because church and education were bound together in those days, the scholars who preferred the views of Aristotle used their church influence to criticize Galileo. See picture. They criticized him because he was different from Aristotle, and because his measurements were not accurate enough to support his theory that the earth revolved around the sun. They did not criticize him for religious reasons. A century later, measurements were more accurate, and then even scientists who were in the church accepted that the earth revolves around the sun. In the following centuries, more and more education was provided outside the church, and now neither side in any scientific debate would appeal to the church for intervention. From this experience we learn that the church should not adopt one side of any scientific question, because when the scientific theory changes, people should not have an excuse to reject the church along with the old theory. That is why it is not a good idea for the church to promote the idea that God made the world through evolution. If the theory of evolution were to change, then the church would be holding an out-moded theory. It is better for the church simply to announce the truths of the Bible: God is the creator, and therefore He knows us and directs us. Proof. The idea that God is creator is accepted by faith.²²¹ Sometimes we find people who refuse to believe in God because they reject the idea that God is Creator. They say that science has proved that there is no creator. We can help them by showing them that Science is not able to prove whether there is a creator or not. What science looks at is only the natural; science does not look at the supernatural. Humanity has gained many benefits as scientists have investigated the natural world. But since science has chosen not to take the supernatural as a subject for its experiments, science cannot make declarations about the supernatural world. If someone says that there is not a supernatural world, that is a philosophical position, taken by faith, but it is not a scientific position, because science studies only the natural world. Therefore, there is no reason for someone to put off trusting in God because of science. The point to remember is that science has not proved that God does not exist. The idea that God does not exist is a philosophical view, it is not a scientific view. Science does not deal with invisible things. It is possible to be a good scientist and to maintain faith in God. More about philosophy. Evolution. In 1859 Darwin published his book about evolution called The Origin of Species. Picture of Darwin He believed that accumulated small changes have led to the variety of plants and animals have appeared on the earth. For proof, Darwin referred to the changes he had seen in birds and other living things during his travels. But these examples were not one kind changing into another. They were all small scale changes. He used small-scale changes as evidence that large-scale changes had happened. But there has not yet been any evidence of large-scale changes. Promoters of evolution only say that evolution “must be” the cause of large-scale changes, because they do not permit the option of supernatural intervention by God to be considered. Darwin said that if scientists could not find intermediate forms of plants and animals to demonstrate how one kind changed into another, then his theory would be disproved. More than one hundred years has passed, and these intermediate types have not been found. This does not prove that they may not be found someday, but it does prove that at this time the theory of evolution is not a proven fact and is not a firm enough reason to reject God. After Darwin’s book was published, some Christians stopped believing in God, because they felt God was no longer needed as an explanation for nature. Other Christians felt that Darwin was not a threat to faith, since God is the source of all truth. Other Christians felt it was necessary to criticize Darwin so that others would not lose their faith. Science uses evolution because it is a theory that they have found useful in accounting for some of the things they observe. This is the normal way for science to operate. Whenever science has found more evidence, it has changed its theories to fit the evidence. Since science is always changing, it is short-sighted to use science as the basis for the spiritual needs in life. Fulfilling our spiritual needs requires something that does not change. 13. Creation/evolution conversations. Here are three different questions that your friends might want to talk about: 1) Where did the universe come from? Today, scientists and the Bible both agree that our universe had a beginning. 2) Where did life come from? Today, scientists no longer think that life was produced by lightning striking an assemblage of pre-life particles, and no other theory has emerged, so there are conjectures about life arriving with an alien or on a meteor. The Bible tells us that God is the source of life. 3) Why are there so many different kinds of plants and animals? Darwinism’s theory of “natural selection” only claims that a life form that is more appropriate to its environment will reproduce more than a less-suitable form, but does not explain how that more appropriate form came about in the first place. Fifty years ago one heard about cell changes being caused by cosmic rays; today it is more common to hear about copying mistakes being made as cells reproduce. Today, most scientists still accept Darwinism, but the Bible says that God created fish, birds, mammals, and people. Here are hints for talking with your friends about creation and science. 14. Christian scientists. There is nothing in science that needs to prevent us from coming to God. There is nothing in Christianity that should prevent a Christian from being a scientist. When we are safe in God’s family, we can continue to research the questions that scientists consider. When we believe that a God created us, and that we are not here just by chance, we have a basis for finding meaning in life; we know we are accountable to our Creator, and so we see our need for a savior when we have not lived up to His commands. True science is always changing, so we look to God for the lasting values of life, and we look to science to continually show us the marvels of the universe God has created..
13) Church paintings from many centuries: Cimabue, 1286. Simone Martini, 1333. Fra Angelico 1430. Michelangelo 1504. Grunewald 1512, Raphael 1513. Rembrandt 1600’s. Paul Troger 1700’s Delacroix 1800;s Roualt 1900’s. 21) In the 1700’s, composers wrote long works made of scripture quotations. These were called oratorios. Handel’s Messiah is a famous example: here is Isaiah 9:6, “For Unto us a child is born.”. The next link is Psalm 37:7, Rest in the Lord, from the oratorio Elijah by Mendelssohn. During the Middle Ages, the pipe organ began to be used in church again (it had not been used for church music in the early centuries because it was associated with secular entertainment in the Roman Empire). J. S. Bach is recognized for composing much organ music for the church. This sample is a prelude, written as an introduction to singing a hymn. Composers also wrote music for the story Jesus suffering and death, to be performed in church. These compositions were called “passions.” Here is the passion according to the gospel of John, by Bach. Here is more church music by some famous composers:. Mary’s Song from Luke 1:46. The first example, by modern composer John Rutter., shows you all the words in English and Latin. The next three examples use the Latin words: Vivaldii Bach Schubert Again, for music of the Sunday morning church service, see chapter 30,. For music in the monastery, see Chapter 28, paragraph 4. 22) In 2007 Behe published a book called “The edge of Evolution: The Search for the Limits of Darwinism.” He describes his research as he analyzed many generatiions of change , and discovered that all changes that took place harmed or removed information from the cell. 23) The book about perspective was “On Painting,” written in 1435 by Italian Leon Alberti. Eastern Roman Empire , 300’s to 600’s. Outside and Inside. Later eastern Roman and Russian (Byzantine), 00’s to present. Romanesque style in Europe, 800’s to 1100’s. Gothis style in Europe, 1200’s -1300-s.
Renaissance, based on Greek and Roman models. 1400’s. Baroque, Europe and colonies of Spain 1500’s – 1600’s. Revivals of previous styles, 1800’s – 1900’s.